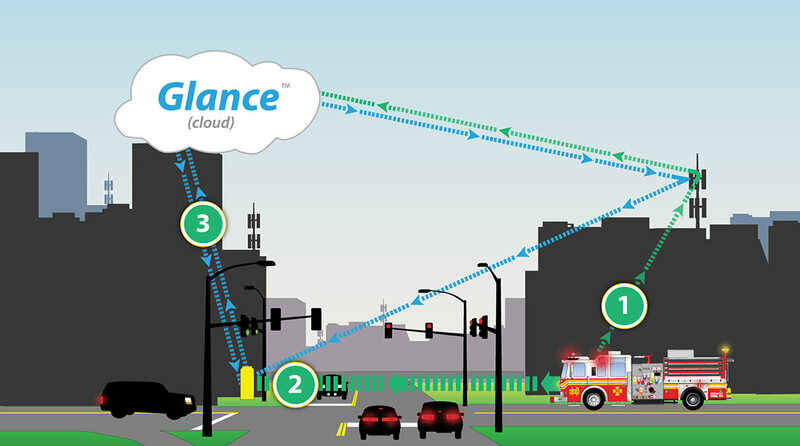 The Glance™ Priority and Preemption suite of products makes it easier and safer for emergency vehicles to reach citizens in need by clearing the traffic ahead of them, giving them green lights at intersections, and bringing all other traffic safely to a halt. In most American cities, emergency response times are only increasing as traffic gets worse. The Glance preemption system is an efficient and cost-effective way to take action. By giving preemptive green lights to emergency responders, you can clear the traffic blocking their route and get emergency responders to their destination quickly and safely. Glance tracks all emergency response trips and automatically calculates the average response time, 90th percentile response time and availability of every vehicle. Vehicle crashes accounted for over 25% of firefighter fatalities in 2017. Proactively clearing traffic and bringing the rest of the intersection to a halt can help prevent these crashes. 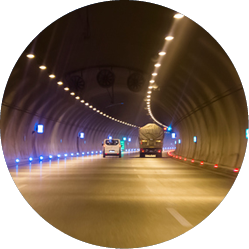 Adaptive preemption and priority systems clear traffic ahead of a vehicle’s arrival, which can reduce response times by as much as 20% . The Glance system is easy to install and maintain. Hardware retrofits into existing cabinets and self-locates for quick set-up. Glance powers the system with a combination of cellular and GPS technology, making it more efficient than optical systems. Response times are a critical componentof ISO ratings. With Glance, you can help improve your score to benefit citizens and fire departments alike. The moment a route starts, the in-vehicle unit uses a cellular signal to alert Glance of the emergency call. Glance processes the route and communicates wirelessly with the traffic cabinet to clear traffic ahead of the vehicle’s arrival. 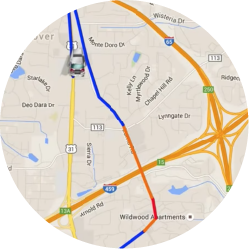 Glance monitors route progress in real time and dynamically adapts preemption requests as the situation changes. 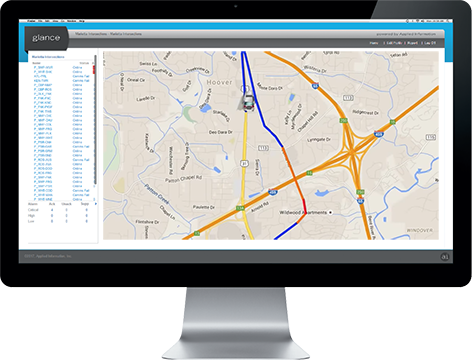 The Glance priority and preemption system is simple to install and uses a map-based application to configure the priority and preemption zone. 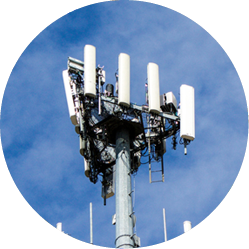 The integrated devices work over both 900MHz radio and cell, ensuring that if one form of communication is unavailable, the other will still work. The GPS used in our in-vehicle units is enhanced with “dead reckoning,” so the device can still calculate and track the vehicle’s locations even in places like road tunnels or under overpasses.